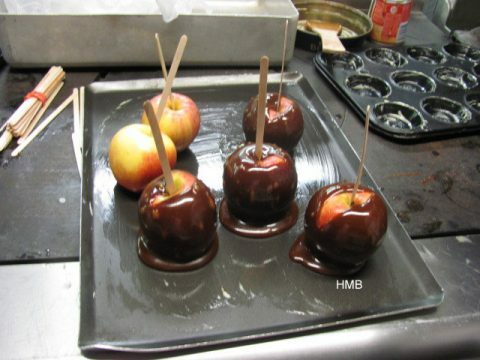 Here is a recipe guide and pictures to show you how to make Treacle Toffee Apples and Lollipops. Caution this is a hot mix and may burn or scald. 1. Place all the above ingredients into a large pan. 2. Turn the hob on to a high setting. 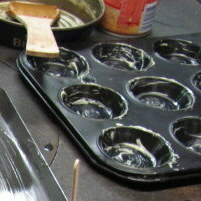 (For safety warm the pan on the back burners so that the ingredients do not spit onto your skin). 3. Stir the ingredients with a wooden spoon until dissolved, boil the liquid for approx 5 minutes. 4. To test if the treacle is done place cold water into a sandwich tin or bowl and drop some treacle into the water, if you can push the treacle together to form a shape and it goes hard it is done and remove from heat. If not continue to heat and repeat the water process. It should ‘clink’ or snap/break when done. (The more it is boiled the harder it gets). 5. To make Treacle Toffee Apples insert a lollipop stick into the base of the apple and push it up until it is about half way into the apple. 6. Now hold the lollipop stick and apple, tilt the pan slightly and then dip and swirl the apple in the hot treacle until it is covered. 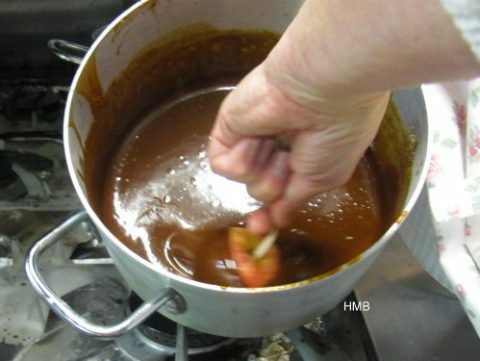 Warning: Keep your fingers away from the boiling toffee mix. 7. Place the dipped apple onto a greased baking tray to set. 8. 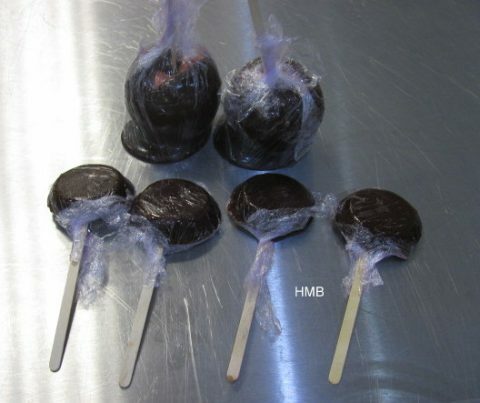 To make treacle toffee lollipops grease a thin cupcake tin, pour the treacle into the greased holes and then balance a lollipop stick on the edges of the tin so that it gets covered by treacle and will set as a lollipop. Leave to cool. 9. 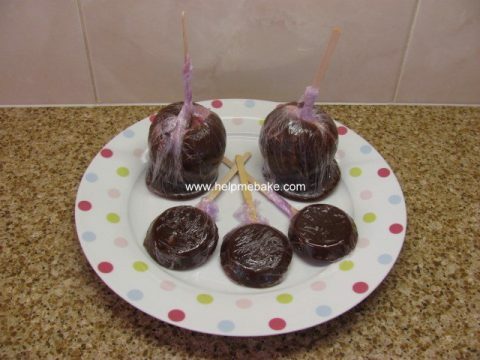 Once cooled and set wrap the lollipops and treacle apples in clingfilm or saran wrap. Also see Chocolate Sprinkle Apples for alternatives. PrevPrevUse an empty wine bottle as a rolling pin. NextNextWhat is a double ended ball tool?